It’s too early for me to predict exactly how Lamborghini’s current crop of cars (the Huracán, Aventador and Urus) will age and look to people in 50 years, but I can tell you this much: Lamborghinis from 50 years ago look freaking amazing. In particular, I’m talking about the Espada and the Islero. 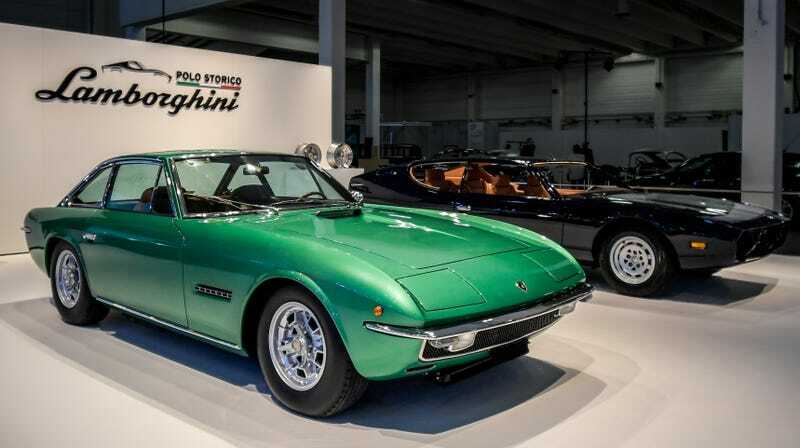 Recently, in celebration of the cars’ 50th anniversary, Lamborghini restored the examples that it keeps in its museum and will bring them on tour across Italy next month. The Espada (meaning “sword” in Spanish) was Lamborghini first production four-seater. Lamborghini made a then-high number of them during the 10-year production run: 1,226 cars. There were three versions of it and all of them had V12s. The Islero, named for a fighting bull that killed a famous matador in 1947, had two versions as well: The regular Islero and the Islero S. The cars were based on the 400 GT, but had larger tires. They also had V12 engines and were exceedingly rare. There were only 225 Isleros produced, 155 of the regular ones, 70 of the S.
Perhaps these cars looked fighter-jetish in the late ‘60s and early ‘70s, when they were produced, but presently, they look refined and classic. Modern Lamborghinis, with their sharp points, edges and hexagons, look very aggressive for today, but who knows how those looks will translate over the decades. I certainly wasn’t part of the restoration process, but I imagine it was a joy. Anyway, if you’re in Umbria, Perugia, Assisi, Tuscany or Sant’Agata Bolognese during the days of Sept. 7 to 11, then maybe you’ll catch some old and rare Lamborghinis heading by.